The Marp, Health Center, is well-equipped and professionally staffed. Our three resident nurses work hand-in-hand with our rotating physician on staff. The Marp is equipped to treat basic ailments. In case of emergencies, the nearest hospital is 30 minutes from camp. In addition, Northwood has an emergency medical team and is part of the NH 911 system. If for any reason your child needs to be taken to the hospital, the camp medical staff will call you. Keeping campers healthy and safe at Camp Yavneh is of utmost importance. It is critical that you inform us of any allergy, health, diet, personal habits, physical limitations and/or behavioral issues. This includes any professional assistance you have sought for the treatment of such problems. All disclosures are kept in professional confidence. Such information is crucial to enable our senior staff to assign, train and supervise our counselors to best serve the needs of your camper. All health information must be submitted in writing through your My Yavneh account by May 1st. Please do not plan to suspend or change medication dosages for the summer. Parents will be notified as soon as possible if emergency treatment is necessary. If a camper is kept in the Marp overnight, parents will also be notified. If your child/ren is ill at the start of camp, please keep them at home until they are feeling well enough to come to camp. 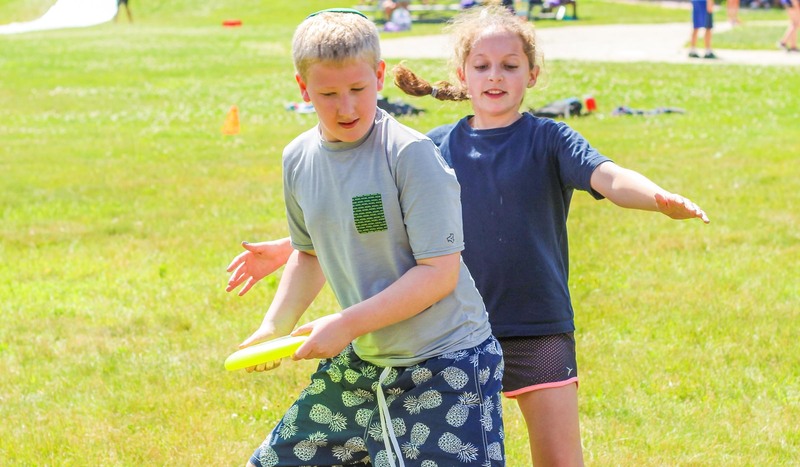 In compliance with the State of New Hampshire, as well as the American Camping Association (ACA) regulations, all campers are required to have a physical examination completed within 12 months of attending camp. All campers and staff are required to be immunized per the Recommended Childhood and Adolescent Immunization Schedule as published by the American Academy of Pediatrics. The only exceptions are people who cannot be immunized due to medical needs. If your child is in this category, please provide a doctor’s note to obtain pre-approval from our medical staff. Vaccinations must be up-to-date. In order for your camper to be admitted to camp, you must provide written documentation of immunizations. You will be asked to upload several documents that are in compliance with both the State of New Hampshire and ACA. These documents will be accessible through your My Yavneh account. If you haven’t already done so, please make an appointment with your camper’s medical provider (MD, DO, NP, PA) for his/her annual exam. We urge you to let us know as much as possible about your child’s medical/emotional history as this information is pertinent to their welfare while in camp. All information is confidential and is only shared with those professionals directly involved in their care. 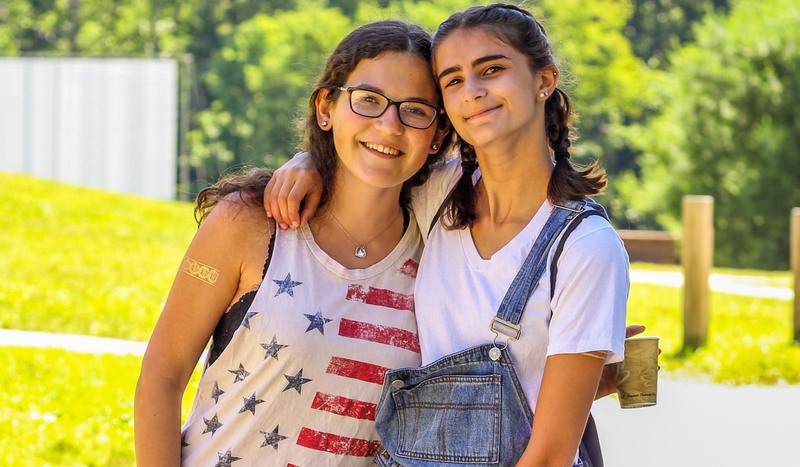 Camp Yavneh partners with CampMeds for prescription administration at camp. CampMeds specializes in packaging medications for summer camps, both prescription and over-the-counter. They provide specialized multi-dose packaging to ensure that each camper receives the right medication at the right time. The packaging makes medication administration fast and above all safe. In addition, multi-dose packaging is portable which allows for easy transport on overnight trips. CampMeds charges a service fee of $45 for one month campers and $60 for the entire summer, including shipping. They will submit to your insurance company for prescription coverage. They will also arrange OTC medications. All medications to be taken at camp must come through CampMeds. This includes all vitamins and supplements as well as chewables and liquid medication. Please avoid sending liquid if possible; chewable is preferred. If your child needs allergy medication on an ongoing basis you must order it from CampMeds. If you know that your child will only need allergy medication on an infrequent basis, you do not need to order these in advance. Please do not send Miralax or Lactaid. These will be provided at camp free of charge. Inhalers, nasal sprays, topical creams (prescription and over-the-counter), and Epi-pens do not need to be ordered through CampMeds. Please send two inhalers and remember to check the expiration dates. Please send two packs of Epi-pens (four total pens), two to be kept in the bunk and two to be kept with the medical staff. Please be sure to check expiration dates. We do not accept expired medicine. Other than inhalers, creams, nasal sprays and EpiPens, no medications are allowed to be kept in the bunk, per state law. Camp carries most over-the-counter medications, in generic form, including Tylenol, Advil, Sudafed, cough syrup, Benadryl, antidiarrheal medication, cold medicine (combination), stool softener, Pepto-Bismol, etc. These will be given on a short-term basis only. If any of these medications are taken daily, you must order them through CampMeds. To order medications, please click here to register your child. The deadline to order is 30 days before your child arrives at camp; late orders will be subject to a $25 late fee. Please do not hesitate to reach out via email or call the camp office at 603-942-5593. Further information is available in the CampMeds FAQ sheet in each family’s Forms & Documents dashboard. Children who wear eyeglasses should bring an extra pair in case of loss or breakage. Shatterproof lenses are recommended. Broken eyeglasses will be sent out to be repaired. Please label all eyeglasses. All campers are required to have medical insurance while at camp. Onsite camp medical staff only provide basic treatment: visits to specialists, hospitals or urgent care centers are not covered by camp and the child’s insurance will be contacted. Any medications prescribed while at camp will also need to be covered by insurance. There is not a dentist at camp, so please make sure that your child is in good dental health prior to the start of camp. In case of an emergency, campers will be taken to the nearest dentist/orthodontist at the parent’s’ expense. Camp Yavneh uses a professional lice inspection and removal service. If your child is found to have lice on check in, this company will treat your child with the latest non invasive technology. The fee for lice treatment is $250. The Camp Yavneh staff is aware of the Lyme disease issue in the Northeast. The camp property is treated at the beginning of the camp season to reduce our tick population. Our medical staff is up to date on symptoms and treatment procedures. Counselors are trained during orientation on prevention and symptoms. Any dietary concerns, including food allergies, should be discussed with Jeff Weener, Associate Director/Director of Operations, prior to the start of camp. You can reach him at jeff@campyavneh.org or 617-580-3455. Your child/ren’s physician needs to send any special dietary needs in writing; ideally, on the physician’s segment of the health form in your My Yavneh account. Bedwetting is discreetly handled on a case-by-case basis in the bunks. If your child has a problem with enuresis (bedwetting), please contact one of the nurses at nurse@campyavneh.org or 603-942-5593. Parents must send one or two zippered plastic mattress covers as well as extra bedding. A quilt or thin sleeping bag is preferred because we do not have commercial washing machines at camp.